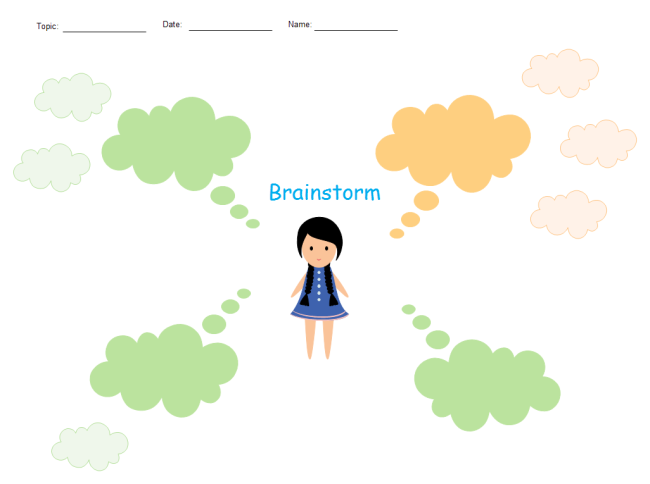 Description: This is a cute and practical brainstorming template that you can write your own contents on. The adorable design is perfectly suitable for young students. Download and save the PDF template, or choose the EDDX file and modify on your own.